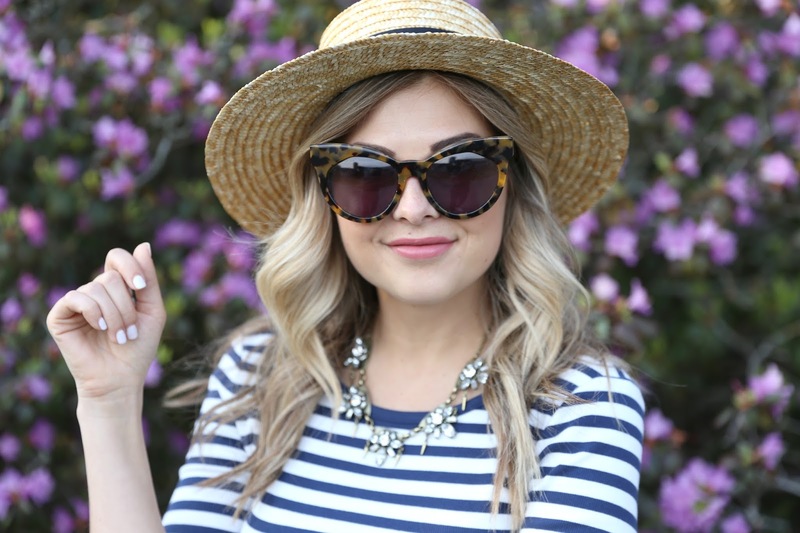 A striped breton tee just screams spring to me. Add in a scoop back and you've definitely got me hooked ;) Hailing from the new spring collection at RW&CO, this top is simple but adorable. With a few trips planned in the upcoming weeks, I love the idea of it paired with this crepe skirt or even with skinny jeans and a light trench coat. Find other spring inspired tops and blouses from RW&CO here. Fantastic French chic meets country girl like outfit!!! LOVE your hat! That striped top is PERFECTION! Oh my gosh... This is gorgeous!! I love the stripes. Such a timeless look. Breton tops look so chic!